Car accidents can be very nerve-racking events. You do everything you can to avoid them, but sometimes they still occur. But the more prepared you are, the less hectic the entire experience can be. Because accidents happen so quickly, it’s easy to forget the right steps to take. However, it’s important to be prepared—for your safety, for the safety of others, and for any issues that may crop up in the future. 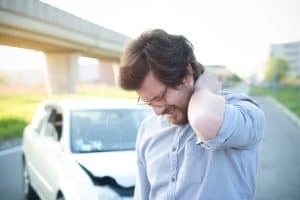 If you’re involved in a car accident, it’s crucial to act responsibly and according to the law. And it’s important to protect yourself. These steps can guide you through the stressful moments after your accident. Never leave the scene of an accident. Leaving the scene of an accident can result in loss of license and criminal charges. Check yourself and others for injuries. If you or others cannot move, stay calm and wait for help to arrive. Notify 911 if there are injuries. If you want to determine fault for the accident, you also must call the police so they can fill out a report. If the cars are drivable and it is safe to do so, move the vehicles to the side of the road. If you’re unable to move your car, put on your hazards or use a safety reflector to warn oncoming motorists of the accident scene. Remain calm and resist the urge to discuss or argue about the accident with the other driver. Anything you say may be documented in the police report by witnesses. Do not admit any guilt or even apologize to the other driver. Exchange information with the other driver. This info should include: name, address, phone number, insurance company information and policy number, name of the insured, driver’s license number and state, license plate number, vehicle owner’s name, and of course the make, model, color, and year of the vehicle. If there were any witnesses to the accident, get their information as well. Document all the information you can remember about the car accident while it’s fresh in your mind—road conditions, weather, where you were on the road, behavior of the other driver, etc. Take photos of the scene if you can, including damage to the vehicles. This is information we tend to forget after the initial stress is over. Write or type it down as soon as possible. When you get home, submit an accident report to the DMV. If you were injured, no matter how minor it may feel, see a medical professional immediately. Some injuries don’t show up until days after the accident. Document all medical visits. If you’re involved in a car accident due to someone else’s negligence or carelessness, contact the attorneys at Taylor & Ring today. We provide knowledgeable representation to accident victims throughout the Los Angeles area. Contact our legal team at 310.776.6390 or complete our contact form to schedule a consultation. How Does Car Accident Reconstruction Work?